My new craving? Banana Leaf Wallpaper! 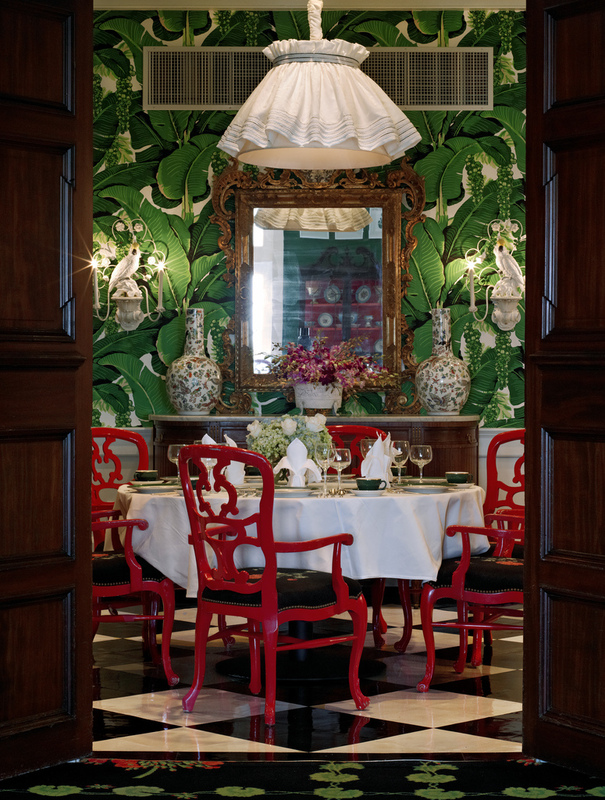 Banana Leaf wallpaper was designed for Beverly Hills Hotel by Don Loper in 1942 roku (photo of the hotel's interior below). 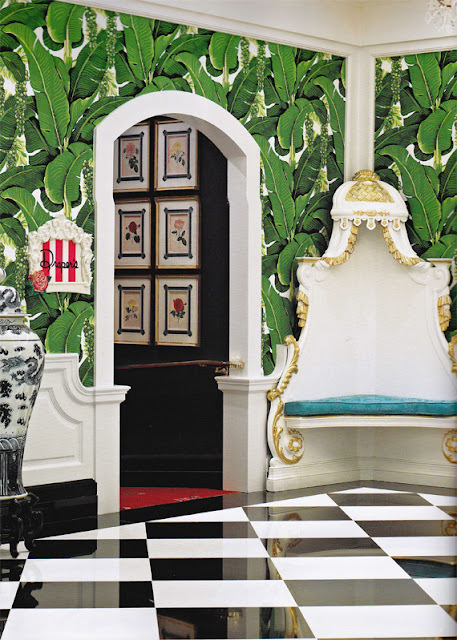 It's quite difficult to use it's sure - and looks best in spacious interiors as the pattern is quite big - but here you have some examples of great interiors with the Banana Leaf wallpaper. 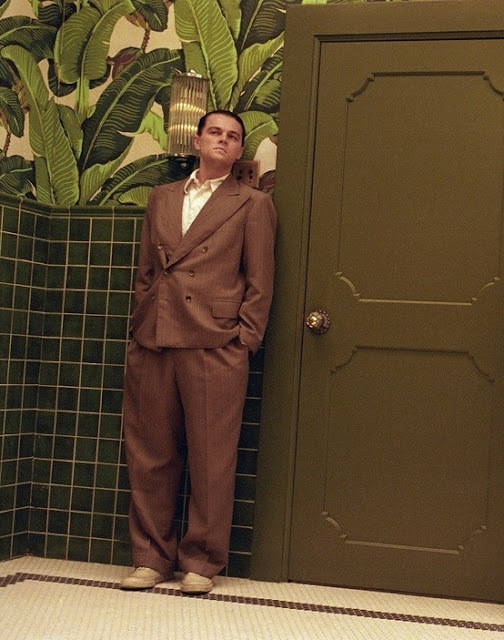 It was here, in the Fountain Coffee Room in Beverly Hills Hotel where the wallpaper originated. Banana Leaf in the "Aviator"
But beware! 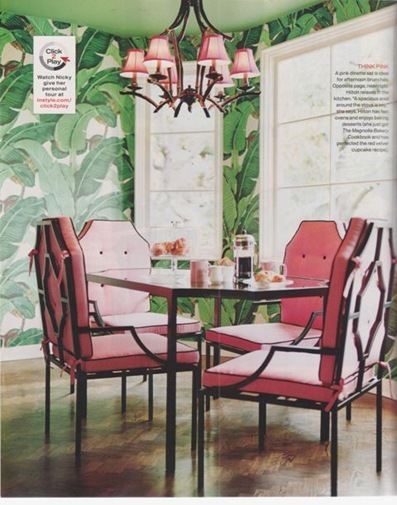 the original Banana Leaf wallpaper can be quite easily confused with Brazilliance wallpaper by Dorothy Draper! They can be easily confused especially in the pictures. 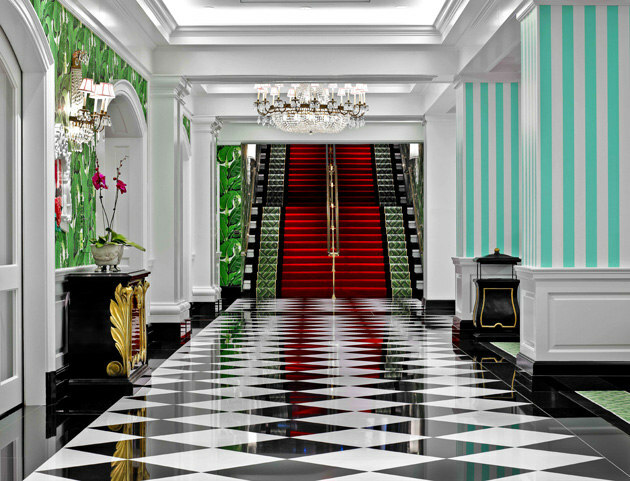 However, the wallpaper by Dorothy Draper has more intense colors with emerald green, and white background while the original one is brownier, with creamy background. The prices also differ - Banana Leaf costs around 250$ for a roll! and Dorothy Draper's from 140$ for two rolls.